Nine-year-old twins Abigail and Olivia vow never to be parted. But when Abigail goes missing from Blackwater Farm, DC Jennifer Knight must find her before it’s too late. 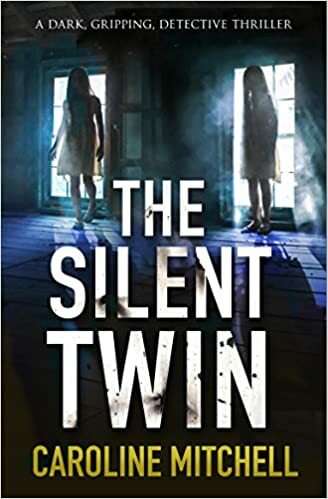 A darkly gripping, page-turning thriller that will enthrall fans of Rachel Abbott, Alex Marwood’s The Wicked Girls and Mark Edwards. Well, what do you know, she’s only gone and done it again. This book was a truly great trip into the unknown. At some points I was holding my breath waiting to see what happened and importantly the ending was pretty decent with no plot holes or loose ends. Its an cliché that’s very over used, and I make no apology for using it, this book was a “page turner” of the highest quality. What I want from a book is emotions. I want to be in the story, I want to see the characters in my mind, I want the story to exist. Caroline Mitchells’ writing took me on a dark, suspenseful rollercoaster of a story that took me to the town of Haven threw me around a bit and them dumped me back into my armchair. Loved it.